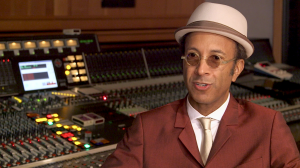 ABC News interviewed The Reverend Shawn Amos ’86 about “keeping the blues alive.” Watch the interview and performance here. Amy Tucker ’97 recently released her debut EP (extended play) under her stage name Parabola West. According to a description on her website, the “six track EP Did You Hear? features catchy, soul-baring lyrics that speak to the heart.” Ms. Tucker, who also previously toured with the band Dreamfield, is a New Zealand-based, independent singer/songwriter whose pieces range from folk-pop tunes to piano-driven ballads. Read more about Parabola West and Did You Hear? on her website.